Essential Facial is The DRx Medispa's fundamental treatment for good complexion and it helps to clear the junk out of your skin.This award winning treatment consists of Ultrasonic Cleansing, Ultrasonic Nutrient Delivery (PG-Vit) and a therapeutic facial mask, white with the Essential Facial (Plus), there's an additional Microdermabrasion. it is an award winning facial that has won Cozycot Holy Grail Award 2008 and All Time Favorite Facial of Elle Magazine’s Beauty IT List 2009. 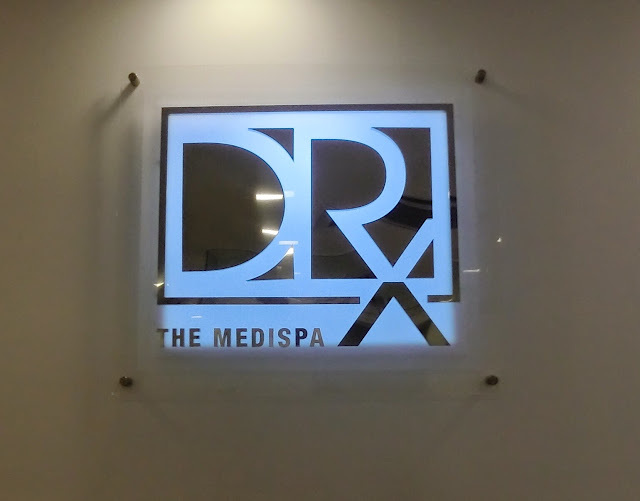 Before that i thought DRx only has one workshop in KL, all the consultation is on the ground floor at Plaza Damas, whereby all the facial and some other treatments will be on the second floor, also known as DRx Medispa. Don't worry the Medispa is just few walks away. To begin with the facial, first i have to put on the shower cap to prevent my hair fly into half way through the facial. Lol. Then it proceed with Double Cleansing to remove my make up. If you're a frequent customer by DRx, i'm sure their double cleanse products will be similar to those that suitable for your skin. Before remove my make up, you can still see mascara and eye brow on me! Next will be followed up by the Microdermabrasion. Microdermabrasion is to rid my face of all the dead cells. It uses a machine with find crystals/ diamond tip hand piece to gently exfoliate and remove the superficial layer of my skin. I could feel a little suction everytime the machine works on my skin. After that is Ultrasonic Cleansing and Extraction. 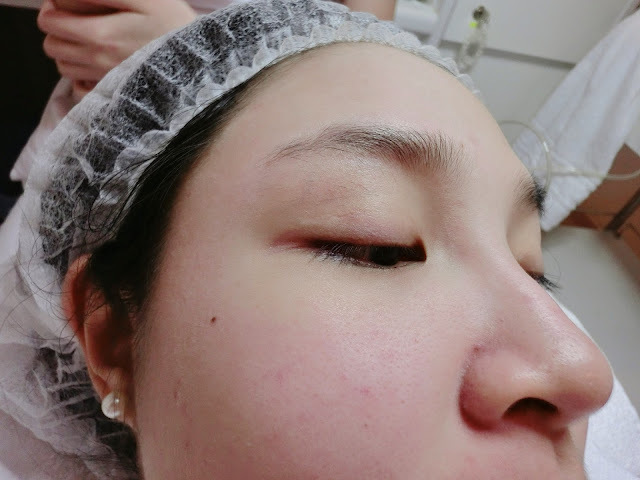 Ultrasonic cleansing uses an ultrasound device to elimate dead cells from the skin surface and lossen impurities, oul and comedones( blackheads and whiteheads) that are embedded in pores. The blackheads are then easily extracted without damage to the surface of the skin. Exfoliation of dead skin cells also allows for more efffective penetration of the therapeutic substances that follow. 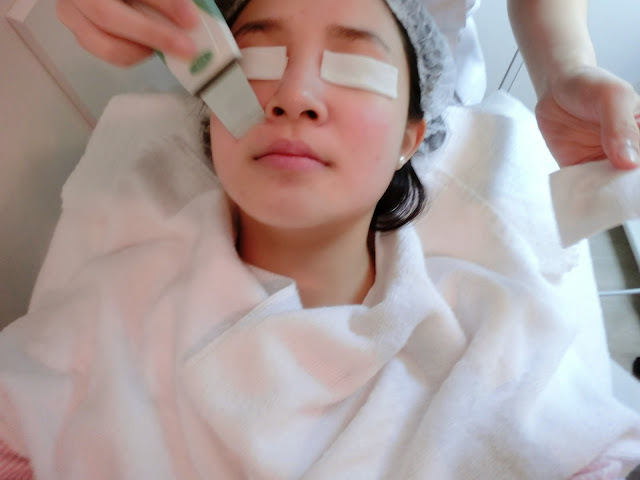 Yes this is the best time for facial to, it's the Ultrasonic Nutrient Delivery. It is first used to remove the impurities and later on to infuse the nutrients into the skin. 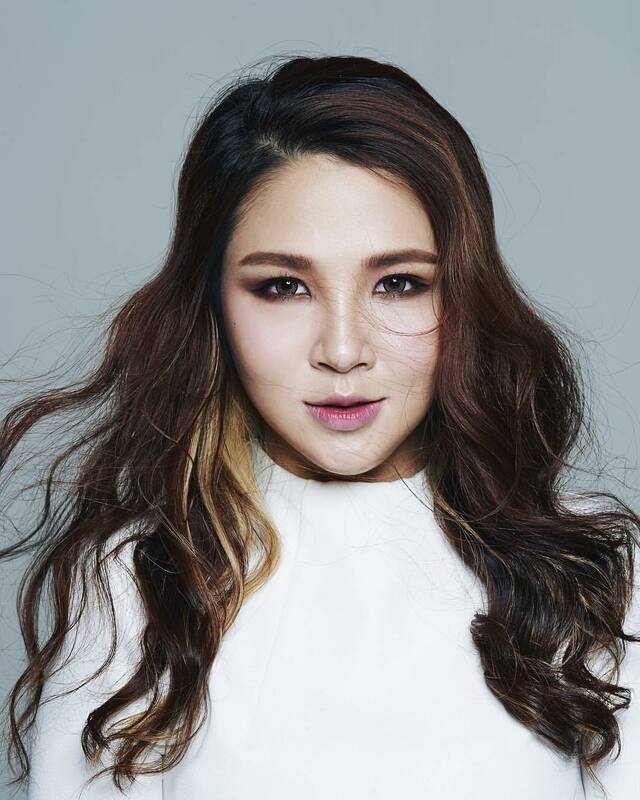 It stimulates the production of collagen for firmer, smoother and younger looking skin. There's a selection of nutrients to choose according your skin type. Ultrasonic Nutrient Delivery uses a device to deliver Pharmaceutical Grade (PG) vitamins and essential compounds into the skin for various benefits, according to the needs of the individual. PG vitamin A , reduces wrinkles , improves skin texture and reverses signs of photo-aging for an overall clearer skin tone. PG vitamin C, stimulates the production of collagen in the dermis for firmer smoother and younger skin, to produce the skin lightening effect and more even skin tone. I went for the PG-Vitamin C nutrient delivery to give my skin extra radiant and glowing effect. with Ultrasonic Nutrient Delivery instantly lightening effect and gave me a more even skin tone that actually glows. 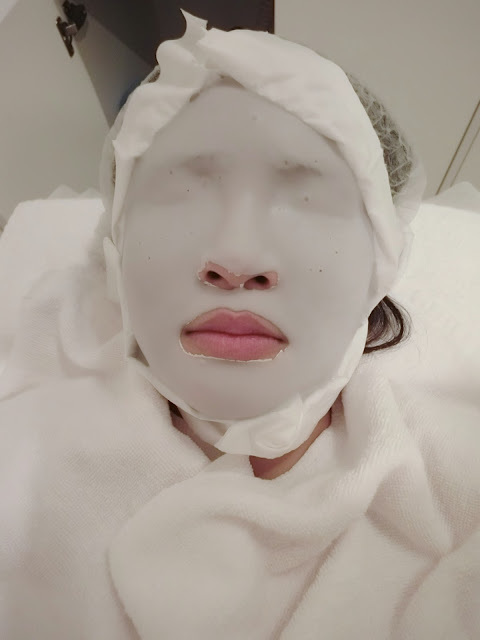 Last will be the Therapeutic Mask is to soothe the skin after the extraction. DRx' Alginate mask is made from high quality marine-derived ingredients with remarkable therapeutic properties. It takes around 20-30 minutes time for some beauty sleep. The result after the Essential Facial (Plus). 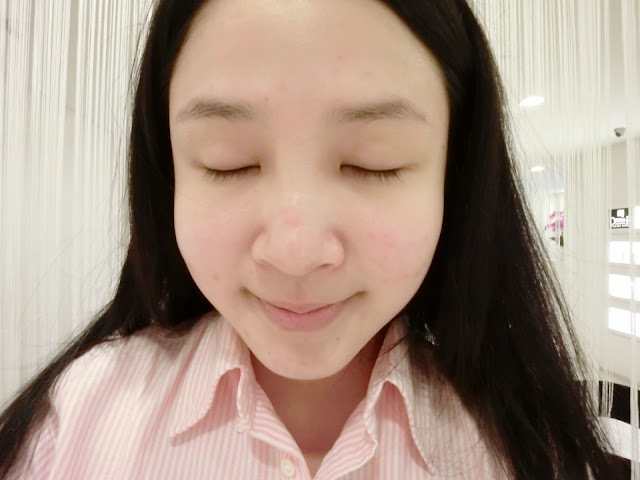 Although it might still have some little red spots on my face but as time goes by, my face became smoother. Can't wait to share with you girls my final result after several visits with DRx. Stay tuned. Mean while, I highly recommend you girls to try on the Essential Facial(Plus) which includes the latest technologies. Now you can head over to DRx Clinic to try it on for 40% discount off or 3 times Free consultation by mention my name 'POVY EF' to be eligible. Offer valid from 1st to 30th September. Before i ending this post, i would like to share a good news with you, DRx will be opening a new branch at Mid Valley at October. Two more months to go!